Baywatch actually was a bit better than I expected as I did manage to chuckle throughout and the film does a good job honoring yet also making fun of the old series (a la 21 Jump Street). This is a worthy rental. Warner Bros. Home Entertainment has announced the date and released artwork for the comedy, The House starring Will Ferrell and Amy Poehler. Click on the link below or image to the left to check out the features and artwork. 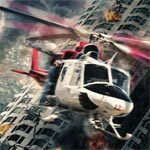 I have a soft spot for disaster flicks so something like San Andreas, as goofy as it was featured solid visual effects and even with a thin plot the film still managed to entertain. The acting for what they were given wasn’t bad and once again Dwayne Johnson proves himself to be a great action hero. Burying the Ex probably could’ve been one of the better surprises of 2015 but instead it’s bitten with a half-baked screenplay that doesn’t take advantage of the fun story. Even so, Joe Dante and company do pay homage to horror of old which will certainly satisfy fans of the genre and even beyond that, the core cast all turn in good performances and make something mundane and average to be somewhat entertaining, flaws and all.